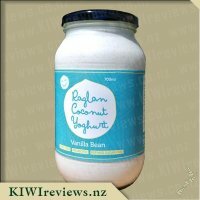 Pure coconut goodness, handmade with love in Raglan! Paleo and dairy-free friendly, with lots of probiotics for happy, healthy tummies. NOTE: 12/08/16 - New &apos;Gum Free&apos; recipe. I offered this up to guests at our house recently, as we were sitting around drinking wine and serving some snacks. The yoghurt was served in little brandy snap cups and everyone had a try. 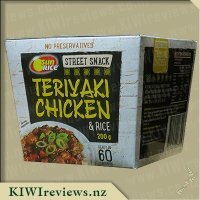 Most people were a bit uncertain about the flavour as outlined on the container. It was the turmeric that was putting people off. This amused me because that was what drew me to the product in the first place. Our friends were pleasantly surprised by this yoghurt and enjoyed it despite their reservations. 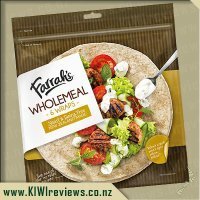 I liked it too, though on first taste I thought "hang on, this would be perfect in a savoury meal". I said that out loud, testing the waters and it was like a light-bulb moment. So I organised for people to come over again later in the week. Using some ingredients I had already been given by KIWIreviews such as the Leena Spices, I got some fresh ingredients to add as well. So on the night of the dinner, I browned some chicken pieces, added the spices and other items and made Butter Chicken, with the addition of this yoghurt. It was a great addition. When I licked the spoon after putting some into dinner, I realised that it was sweeter than I first remembered, so I was a little worried. But I didn&apos;t need to be at all. The spice level was good, the yoghurt sweetness was nicely balanced. Everyone thought that the meal worked really well. For me, this product stood out for being really versatile. 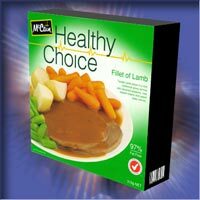 You can enjoy it as a sweet or a savoury. It has a great Greek style texture. The flavours are all there and they taste as you might imagine. I would describe it almost like a mango lassi waiting to be made. I&apos;m not sure it&apos;s my favourite of the range, but I did like it a lot and I would probably get it again if I saw it. Versatility! That was the first thought that struck me when I tasted this product. I don&apos;t know exactly what I expected, but I was pleasantly surprised by the combination of textures and flavours. The first impression was that of a mild mango flavour, but it does not take over, and you can still taste the coconut in the background. 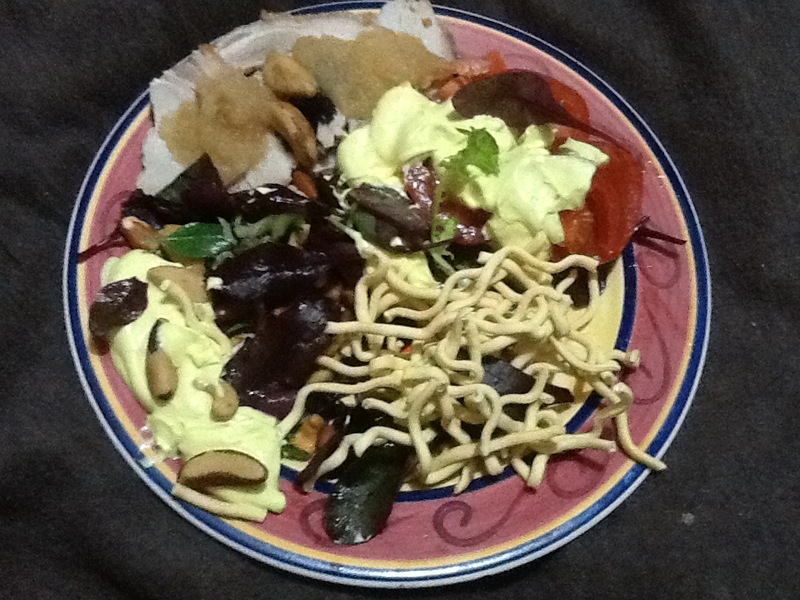 I could not taste the turmeric at all, but I am sure it was partly responsible for the vibrant yellow colour. However, as is the case with many spices, it almost certainly accounts for the enhanced fruit flavour. I had the perfect opportunity to test it. Over the last week we have been full on at work; we are doing 14 and 15 hour days, and for part of this time we are doing pretty intensive physical activity. Great for improving fitness, but it is imperative to eat properly in the breaks. No junk food, so what we do eat has to be quick to prepare (with no facility for reheating), balanced and energising. My task one evening was to produce a quick, healthy meal for three of us - one a vegetarian, one with a mild nut allergy, and me (allergic to some dairy products). Mrs Mild Nut Allergy said she was ok to be in contact with nuts, she just can&apos;t eat them, so that made things more straightforward. A quick trip to the supermarket yielded various salad ingredients, some mixed roast nuts, some cold meat cuts, and a small packet of vegan crispy noodles. Mrs Mild Nut Allergy got extra meat, Mr Vegetarian got extra nuts, and I got some of everything. Then I topped each salad with a generous helping of yoghurt, but I did not tell them what it was - only assured them it was safe for all of us to eat! After we had finished the meal, I asked them what they thought of my "fast food" dinner. 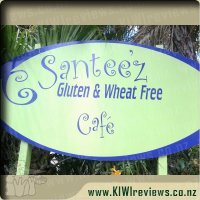 Mr Vegetarian said he really liked the salad as he often gets given boring food when he is eating out, so it was nice to be served a vegetarian dish that was so tasty it could be eaten on its own - oh, and by the way, what was the yummy salad dressing I had used? Mrs Mild Nut Allergy said she had enjoyed the whole meal and asked where she could purchase the mayonnaise! Neither of them realised it was actually yogurt as they would not have thought of using it in this way. I told them both and showed them the jar; hopefully they are now intending to purchase some of their own. The following evening I took the remains of the jar to my daughter&apos;s house so she, my son-in-law, and my grandchildren could try it too. We had it with fruit and waffles for pudding and everyone liked it, even the youngest. Son-in-law liked the texture and commented that it was different to ordinary cow&apos;s milk yoghurt. 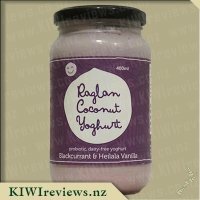 Daughter was delighted that the ingredients were all natural and that the flavour was less bitter that that of conventional yoghurt. Typically, the grandchildren like sweetened fruit yoghurts which are not especially good for them, so their parents try to avoid buying them. But this product was met with delight; the natural sweetness was more than enough for them, and they competed to see who could lick out the jar and get the very last bit! Mango and turmeric seems an odd combination, but the balance is well considered. 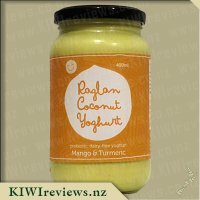 Much like the Blackcurrant and Heilala Vanilla flavour, you can recognise near enough every single ingredient that is in this product (coconut cream, mango puree, pineapple juice, lemon juice, organic raw honey, turmeric), which instantly makes me trust this brand a lot more than the usual yoghurt company. Mango and Turmeric are the flagship flavours, the ones that supposedly embody the general flavour of the entire product, and both of these products are known for their rather strong, concentrated flavour, that are almost polar opposites. Mango obviously is a very lush sweet fruit, whereas turmeric is a gingery spice that is used primarily in curries. 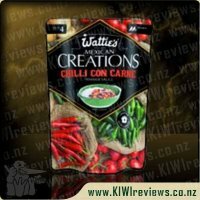 So my expectation is that this is going to be a strange savoury concoction. But that is not what I found. The coconut cream is most likely the major contributing factor to this. The mango flavour is very restrained, more subtle hints than a major flavour; the coconut cream diluting the mango flavour well. The turmeric is also held back, with the general "spice" defused again by the coconut cream. 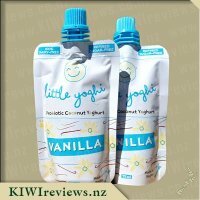 All combined with the honey, pineapple and lemon, you end up with almost a vanilla flavoured yoghurt, with both a citrus-like tang, and a slight savoury warmth to it. 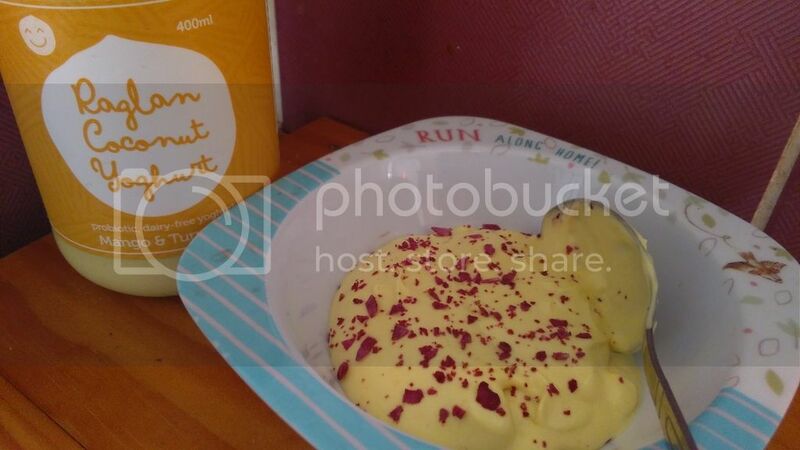 Unlike the Blackcurrant and Heilala Vanilla flavour which had the texture of a light dessert mousse, the mango and turmeric has the consistency of yoghurt, though still a lot less dense than the usual "dairy" brands. The colour is a light yellow similar to that of a custard or dijonnaise. While a very edible flavour, I found that it didn&apos;t quite strike me as a standalone product. This is better off alongside something else; in my case, I ate it alongside some apple chunks. I found it difficult to eat too much of it, which while it helps a lot with portion size, is not the most appealing aspect when it comes to picking a product to purchase. I&apos;d put off trying this flavour as I wasn&apos;t too sure about the numeric in it, but my concerns were unfounded. Once again, the first thing that hit me was the coconut followed by the mango when I opened up the jar. I decided to try some directly out of the jar and right away wanted more, it&apos;s beautifully creamy and it wasn&apos;t too creamy for my tastes. I gave my kids a taste of this each and whilst they gave it the thumbs up, they weren&apos;t too fussed on if they had more or not, meanwhile my mother tried some and preferred it to the blackcurrant and vanilla yogurt. I decided to pop some in a bowl and sprinkle some coconut chips on top to see how they would go, and naturally the went together well, and even though I was adding coconut to the dish, the mango still show through. I needed to make some muffins for the kids and I decided to add some of this yogurt to the dish to see how it would turn out. Getting these out of the oven, I could easily smell the coconut wafting my way. All the flavours managed to shine through and added well to the muffins. 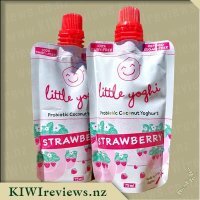 I loved this flavour and it&apos;s the first yogurt that I can eat without having to hack up flem. 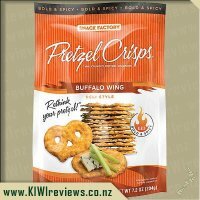 I&apos;d love it if I could find this in my local store, this is on my treat wishlist for sure. 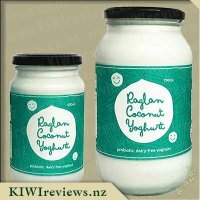 The natural flavoured Raglan Coconut Yoghurt is pretty much a staple in our household, after Miss 3 who is dairy intolerant tried a sample of this at the supermarket one day and declared it was the best yoghurt ever! 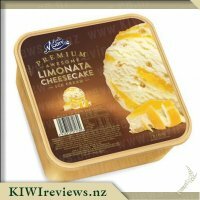 I saw a few months ago that there had been 2 new flavours added to the range, both of which I have been dying to try however when it comes to supermarket shopping I just don&apos;t seem to time my visits right as it is has ALWAYS been sold out. So obviously I was more than a little bit of excited to see that these were available for review, and even more so when I was chosen to review them both! Arriving home with the yoghurt Miss 3 was jumping up and down asking for a try of her new &apos;yellow yoghurt&apos;. I kindly agreed as to be honest I also couldn&apos;t wait to try it! Opening the lid of the jar I smelt the yoghurt and was instantly hit with the smell of coconut, with a touch of fruitiness from the mango, which impressed me as these were the 2 main ingredients in the yoghurt. I have to be honest and say I wasn&apos;t 100% sure what Turmeric was which sent me asking Google, I was relieved when I found out that it was a spice that has a taste combination of orange and ginger, it wasn&apos;t going to be like an Indian hot spice like I was half expecting... phew. 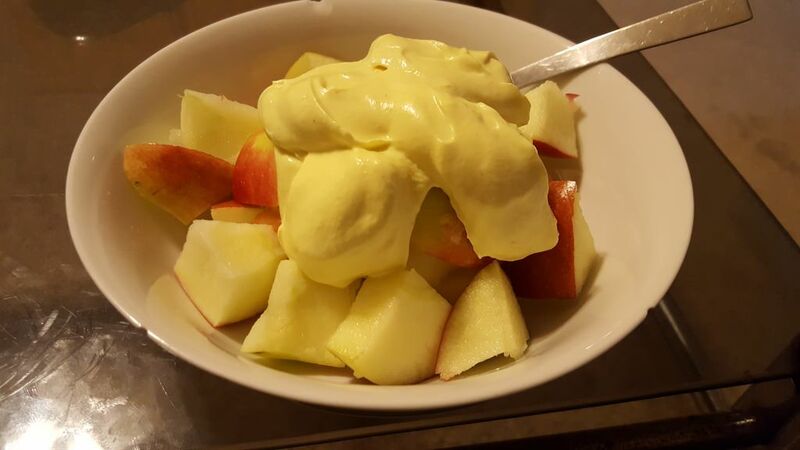 With both Miss 3 and I taking a spoonful of the yoghurt each to try, I was pleasantly happy with the taste, the coconut was undoubtedly the strongest of the flavours but I could definitely taste the mango, and a slight hint of something else which was presumably the Turmeric? This yoghurt has been well sampled over the past few days, in several different ways, we&apos;ve had it on waffles with sliced bananas and passionfruit sauce, we&apos;ve added it to the top of cereal, and of course enjoyed it in smoothies and as is, the good thing about this yoghurt is that it is very thick and dense so you don&apos;t need a lot, a little tends to go along way. With the last half of the jar I decided to experiment a little further and used this to make a ambrosia for a potluck dinner we were attending, I was on the dessert list so this fitted in perfectly. After whipping some cream, I added the yoghurt and folded the 2 together, which made a beautiful pastel yellow coloured dessert, into it I added some fresh mango, pineapple, and marshmallows and then distributed the mixture into some plastic wine glasses before garnishing with chocolate flake. 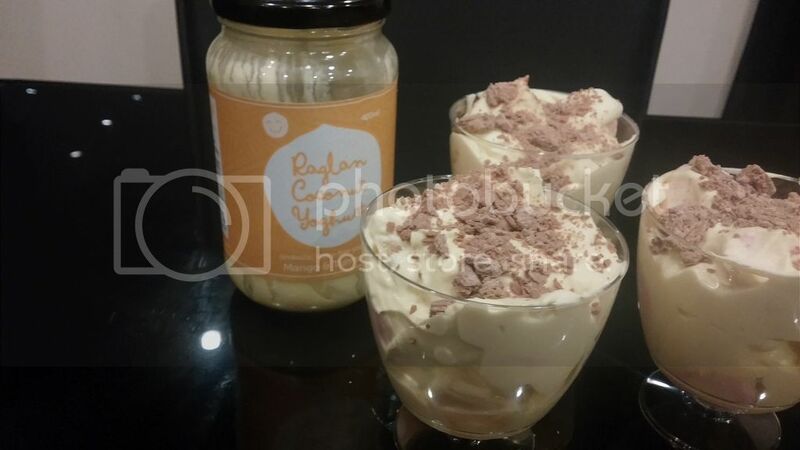 Without mentioning what I had used in the dessert I waited in anticipation for people&apos;s feedback, many commented on the coconut taste and asked if I had used coconut cream rather than normal cream, and were surprised to hear it was the coconut yoghurt. Everyone thought the flavour was nice and light and that the mango taste wasn&apos;t to strong. The flavours of the fruit which I had added worked beautifully with the yoghurt and cream and tasted like a tropical paradise. 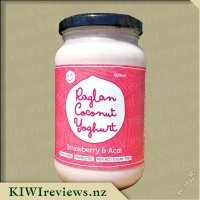 This was a instant hit with everyone, even with my partner who is really not a fan of coconut at all! With so many people suffering allergies and intolerance&apos;s these days it is great to see such items available on the market, obviously the price tag reflects this but I am more than happy to pay this for something which wont upset my daughter&apos;s stomach and as a option for when I have visitors who suffer from similar allergies. 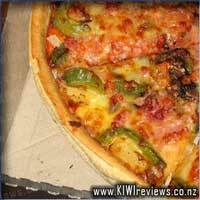 Being dairy, gluten, and nut free this is something that can be enjoyed by many. I love that it is refined sugar-free and preservative-free also as there are far to many unnecessary nasties in foods these days! 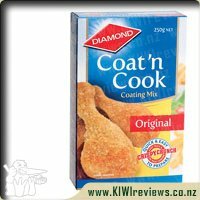 A great product made right here in New Zealand and one which I will totally be buying again, as soon as I can get my hands on it, Miss 3 is already asking for more! I&apos;m excited to see if the company releases anymore yummy flavours! A great combination of our most popular toppings, served on a base with our special recipe tomato sauce, mozzarella cheese, herbs and spices.